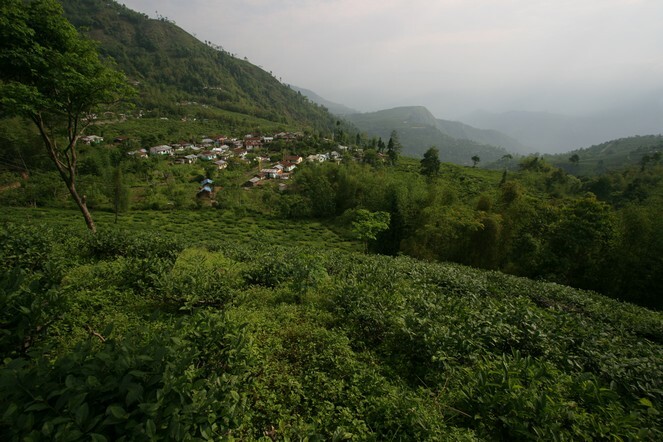 The latest news has come in from Nepal: we’ve made contact with the farmers from whom we buy our teas directly. 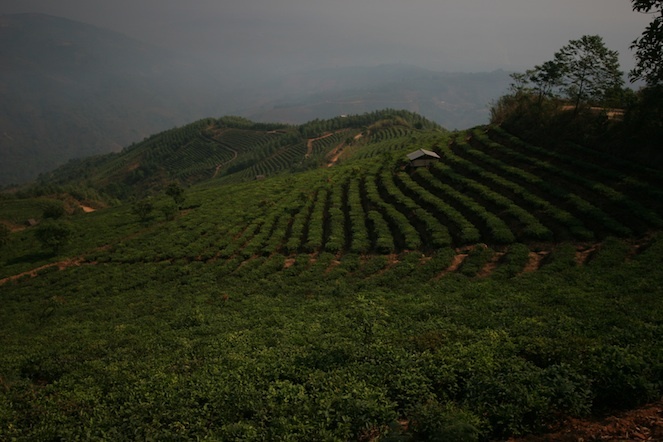 They’re all fine and nothing is damaged; the valleys where the tea grows are much further east in Nepal. I love spending time with tea producers, but I also really enjoy talking to our customers or, as I did this week at our Rue Vieille-du-Temple store, with bloggers who had come to discover and taste our latest creations: Les Jardins. I spoke about how gardens were a source of inspiration; the joy of walking through a favourite garden in different seasons; how these new infusions can be enjoyed hot, at room temperature, or iced. 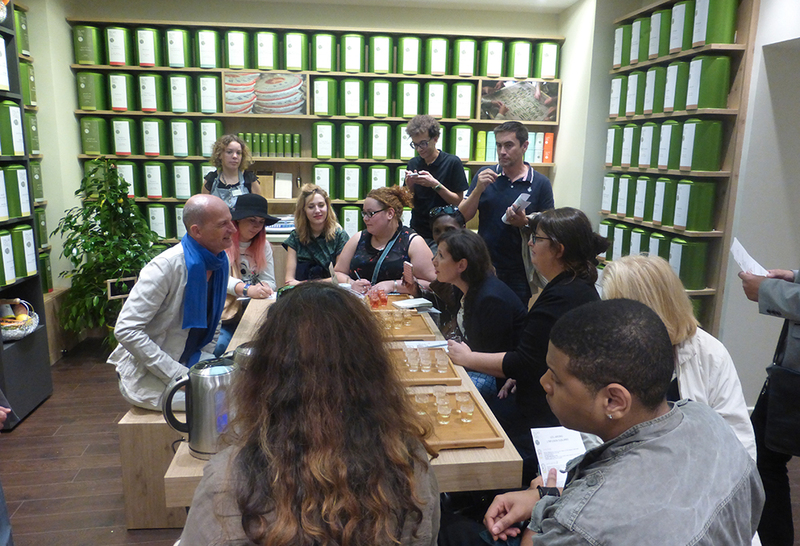 Of course, we also talked about “grand cru” teas, and food too. The news I’m getting from Darjeeling is not very good. The planters are disappointed by the small quantities of tea harvested in March. This is due to low temperatures and a lack of sunshine and rain. So far, production is down by almost a third. 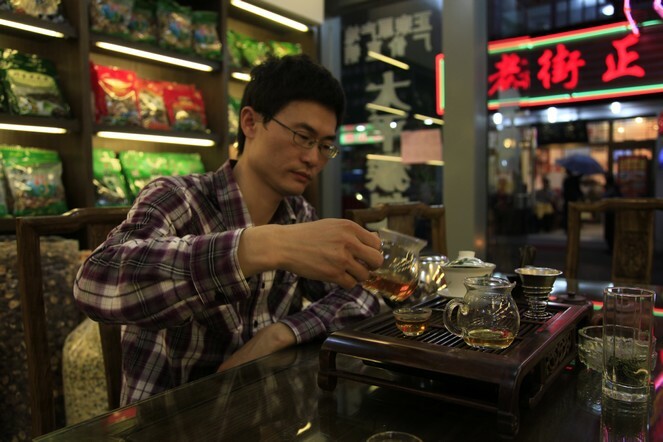 However, as long as you act quickly, there are still some very fine teas. I have already bought several batches from gardens where the quality is improving year on year, like Gielle, Rohini and Teesta Valley. And a tiny batch of “Puttabong SFTGFOP1 Moondrops”: anyone who gets a chance to taste this tea will love it. Don’t you think this landscape evokes calmness and tranquillity? Yet I took the photo in Darjeeling, a region that has been in political turmoil for more than 30 years. At regular intervals the local party calls for strikes in the hope of achieving some autonomy in the Indian Union, and the creation of a new state, Gorkhaland. 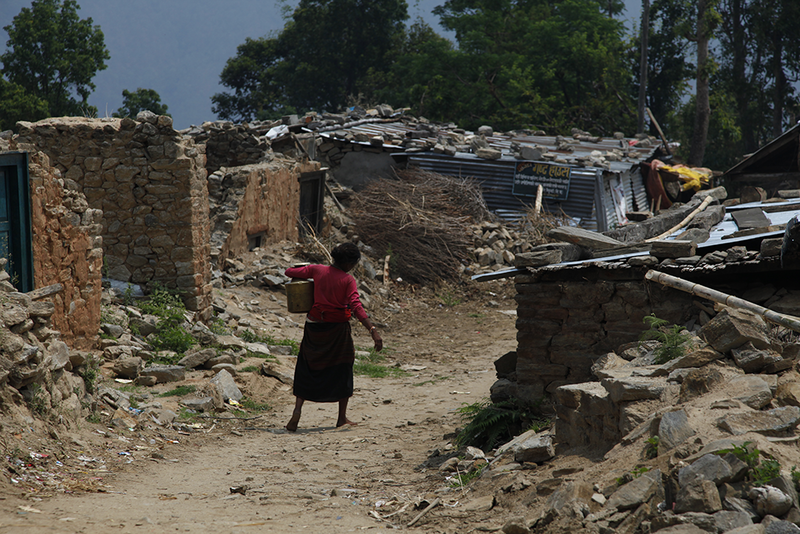 Nowadays, all roads in the region are blocked, and the shops are shut. 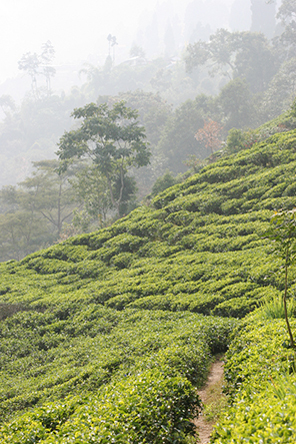 Every year I set off on an exploration of the tea plantations with senior staff from Palais des Thés. 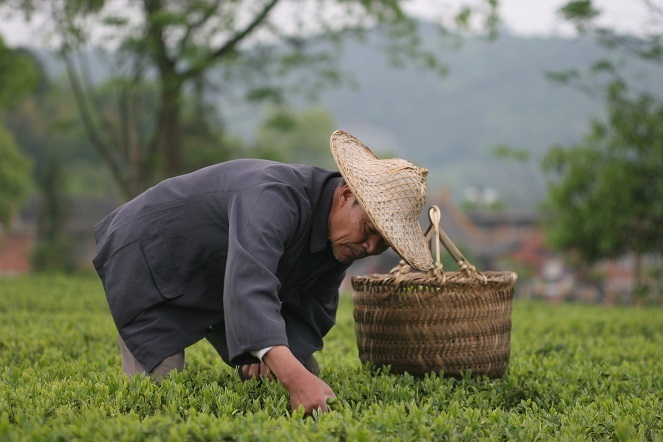 It is an opportunity to introduce them to an extraordinarily beautiful region of the world and it allows them to familiarise themselves with different cultures and, of course, to learn about every stage in the production of tea. 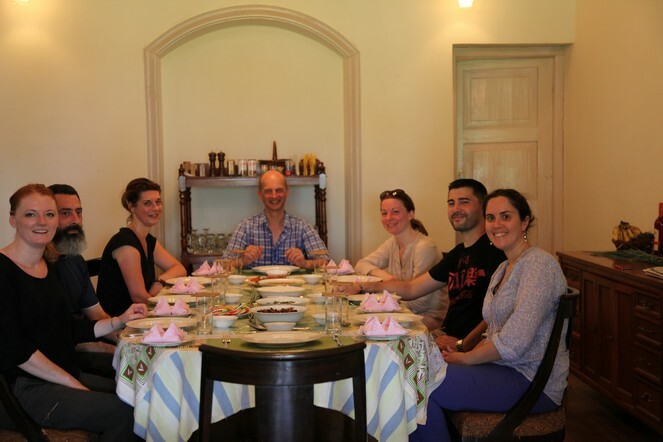 It is also a chance to spend some good times together, like here at Tumsong, where we are enjoying a delicious meal. I was lucky enough to travel to New York last week for the opening of the new Palais des Thés store in Soho (156 Prince Street). 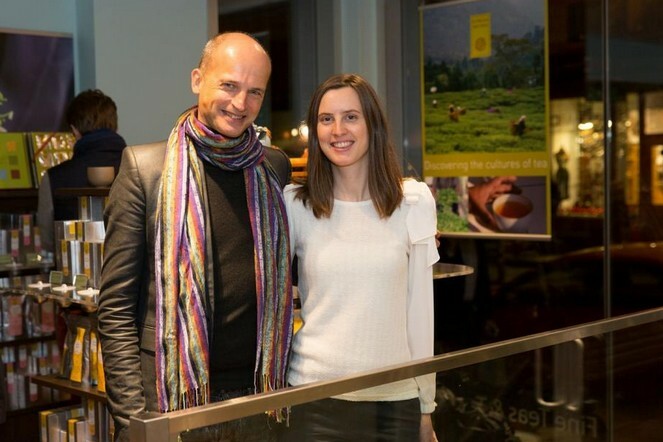 Here I am with my niece Aurélie Bessière who has been working with her husband Cy for two years to promote the Palais des Thés brand among Americans. I was delighted to be able to meet dozens of attentive journalists throughout the course of the day. I showed them the best way to make tea, told them all about my work as a tea researcher and “tea sommelier”, and answered lots of questions. In the evening, Aurélie and I welcomed many guests. It was a wonderful occasion and a exciting challenge now lies ahead: to encourage people to appreciate fine teas on that side of the Atlantic.